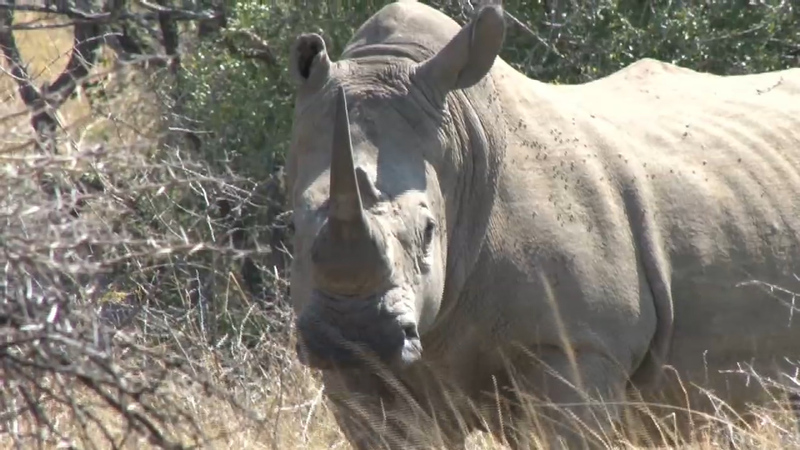 Milestone No:3 – The Rhino Horn Auction. By David Cook. Topping the public interest barometer – if content on social media is anything to go by- was the online auction of legal horn in August by John Hume. Administrative bungling on the part of a DEA with a demonstrably weak appetite for compliance with the court judgement clearing the way for the lifting of the domestic moratorium on sales of horn , caused last minute doubts as to whether the auction would actually take place. Stuck between its legal obligations and the howling objections of the anti trade lobby the dept. scurried around to produce a suitable book sized edition of official red tape designed to render the auction sales procedure as difficult as possible : while unwelcome and no doubt problematical for Hume the auction nonetheless duly took place, to mark the historical third milestone in the turbulent history of rhino conservation 56 years after the world acclaimed development and introduction by the Natal Parks Board of immobilisation/translocation techniques in 1961. This was followed by the second milestone in 1971 when the then Natal Parks Board , faced with an overpopulation in iMfolozi, took the bold step of relegating the statutory protection of white rhino from “specially protected” status to “ protected” thus allowing the species to join the ranks of other wild animals that could be hunted commercially. Just in case those reading this fail to grasp the significance of these milestones here are some facts. In 1971 the rhino population on private land numbered zero :they now number 6500 ( 32 % of the South African population) as a result of acquiring an economic value. As a result the contribution made by this species to the expansion of biodiversity outside of formally protected areas has no equal anywhere. Now at milestone No. three, against the backdrop of rampant poaching it may be asserted that every horn sold by Hume is equivalent to the life of a wild rhino being spared . Is this not what we should be applauding instead of begrudging the fact that the owner stands to make a handsome profit from what history will surely reveal as the step which warded off the threat of a second threat of extinction ? And its only the beginning. Official Govt.credibility has thus far been the biggest victim of the auction debate with various propaganda concoctions being released to allay any fears of a battle out of control. Take for example the Ministers latest press release on the state of play where she tried her damndest to put a positive spin on the truly dreadful emerging 2017 poaching stats. The bad news is somehow overshadowed by a truly mind- boggling set of layered, impressive sounding administrative mechanisms underpinning a programme named “Integrated Strategic Management Approach “ reinforced by a “ Mission Area Joint Operational Center , MAJOC for short ( shades of US military jargon) designed to synchronise all law enforcement agencies and anti poaching programmes backed by a stack of impressive diplomatic agreements with Far Eastern consumer countries pledging their cooperation. None of this, however, disguises the simple truth : South Africa has lost another 529 rhino’s ( 130 in Zululand parks alone) thus far in 2017 ( against 542 in the same 6 month period in 2016) with another 6 months still to go in the killing fields. The future looks anything but promising. In an attempt to shore up flimsy evidence of success the Minister went further to claim that the “decrease” in rhino poaching based on carcases found in KNP ( 234 found so far against 354 in 2016) somehow amounts to proof of successful anti poaching interventions ! Some one should remind her that body counts must be correlated with the total target population ; there are far fewer rhino on the ground as a result of population contraction then a year ago –quarry is much more difficult to locate and kill. Added to the actual kill total many more have been moved out of KNP into IPZ’s ( Intensive Protection Zones ), leaving fewer rhino for poachers to locate and kill in KNP. Well, as this column has stated previously the criminals will find and kill rhino no matter where you put them and it was no surprise to learn from the Minister that of 35 rhino placed in one particular “safe IPZ zone” 15 were poached! So much for IPZ’s hailed as a real breakthrough by many so-called “experts”! From a poachers perspective IPZ’s simply represent a nice compact target to exploit – as Ezemvelo is discovering in trying to protect some 1600 rhino concentrated in one relatively small park – Hluhluwe/iMfolozi . Perhaps the Ministers disclosure that poachers also killed 30 elephant in KNP is yet further evidence of poachers becoming frustrated at long searches for rhino. Rather than return home empty handed they prefer to risk taking advantage of exploiting elephant abundance. Be assured, the act of poaching and de-tusking a downed elephant, then carrying it away is a sight more difficult and lengthy a process than killing and dehorning a rhino . This simply reveals that poachers believe they have the upper hand and , with stakes so high, are prepared to take their chances. Not far behind official equivocation was the well orchestrated rash of anti auction propaganda authored by “Senior researchers”,”Environmental lawyers” , prominent animal rights conservationists – in fact a whole brace of luminaries – recruited to provide a predictive analysis of all the terrible consequences of a legal trade in horn. Social media is their platform. Their speculative , often spurious, logic used to predict dire outcomes to John Hume’s auction of harvested horn simply confirms our observation that such hired guns – prevailed upon to add pompous negative gravitas to the debate on legal trade – are, by the very nature of their misguided prejudice against commercialising a product legally and ethically produced by a farmer, exposing a truly lamentable degree of ignorance. But top prize for arrant stupidity came with the announcement on News24 that two rhino poaching gangs had been detected entering KNP ( but not apprehended ) on the eve of the auction, implying that here indeed was solid proof that a legal trade would not deter poaching ! Huh? By and large the public is now wary of hollow assurances that “ we are winning the battle”when on the contrary we are losing it – and somewhat spectacularly at that ! Catching mules with horns at airports, customs points or secreted in motor vehicles should not become the ultimate primary objective ; nor catching poachers for that matter. What we should be doing is focussing on the creation of a management system which renders the need to kill wild rhino in order to supply an unstoppable demand, completely unnecessary. Legal trade has never been touted as a total, final solution to poaching; it is a measure to be added to the host of other anti poaching, law enforcement imperatives currently being deployed. The establishment of a legal market for legal horn , some drawn from official stockpiles but ultimately from the sustained harvesting of horn from living rhino in private hands is a long term strategy that will take at least five to ten years of sustained operation to show verifiable, meaningful results. No question of “flooding the market” but rather one based on the known business vagaries attending supply, demand and price.The primary objective is to depress demand for illegal horn to below the reproduction rate of the wild South African population so that it at least keeps pace and outstrips the dramatic losses we have experienced these past ten years . Meanwhile ,the slaughter of six rhino in Hluhluwe/iMfolozi Park in KZN during July in a single nights poaching incursion scarcely made the headlines nor appeared to be greeted with much interest by a public seemingly indifferent to ten years of depressing news. Not even the really barbaric slaughter of two rhino on Lombardini Game Farm near Jefferies Bay in the Eastern Province in August – the second poaching incident on the same property in two years – seemed to stir much public reaction. On this occasion the victims – two animals, one a pregnant cow ( a third rhino survived a gunshot wound) – had been dehorned in 2015 to deter poachers. Even more sickening was the fact that according to the owner the poachers “ had hacked deep into the skulls of the rhino to remove the base and the little stub of horn that had started to develop. “. A rather macabre development but then again we at TCI have been warning over and over again that the efficiency of this deterrent measure , along with a host of others like “demand reduction” ie. pleas to consumers in the Far East to stop buying horn and daft strategies involving the immobilisation and translocation of wild rhino into” safe zones” are , at best, simply tenuous. With the price of horn higher than gold is it any surprise that criminals will be emboldened to find ways to break through the circle of well meaning but, largely ineffective protective cordon. The fact is that rhino horn criminality is rapidly clawing its way up the ladder of history to soon gain a place alongside the exploits of legendary criminals such as Al Capone during the prohibition years in the US .The gruesome murder of a private rhino owning farmer and his wife in Limpopo province, the gunning down of an ardent poaching gang buster Wayne Lotter in Dar–es –Salaam plus a host of confiscations at airports and border posts here in South Africa and around the world all attest to this status. There will be blood…! On the international front much was made in the media of the recent clamp down by the Chinese Govt. on its domestic ivory and rhino horn industry. We await evidence that this is nothing more than a ploy aimed at appeasing the international animal rights movement. Much was made of another news report – the seizure of tons of ivory by the authorities in Hong Kong and Thailand , accompanied by the usual fanfare that this “ will send a message” to the criminals that illegal trade and the poaching it sustains will “ not be tolerated”. If your hopes are buoyed by that stern threat to the ungodly go on to read the investigative report in the “ Independent on Saturday “( 22/07/17) revealing the truly extraordinary criminal network used to smuggle ivory and rhino horn into China through a labyrinthine network of underworld peasantry using age old smuggling routes and official corruption , oiled with bribes and commissions, channelling the goods over international borders . Shades of the Mexican/USA drug trafficking – you make one breakthrough , snuff out one drug cartel and lo and behold another, more complex one takes its place. The exact logic of history reveals that lucrative markets for scarce commodities do not simply fade away and disappear as a result of bans,arrests , prosecutions, confiscations and hefty penalties; instead they simply mutate to re-emerge under a different , more cunningly designed system of circumventing officialdom because the products are in demand , are treasured and people will pay a fortune to possess them. Ultimately it is the market that rules- not some self righteous condemnation of a criminal act . Far better to come to grips with the situation via an industry of legitimacy than one posing invisible, self determined demands lying beyond the bounds of regulatory control. One thing you can be certain of though is that in the face of ramped- up pressure the price , and therefore the incentivised rewards for poaching in Africa at level one of the chain ( the poacher) is bound to increase. More slaughter – not less – and more human life taken in skirmishes between poachers and anti poaching units as the stakes are raised even higher and the appeal of earning a lifetimes worth of dollars in one nights incursion becomes even more attractive as poverty stricken poaching candidates take up the challenge. The reality is that throughout the developing world where poverty and global capitalism exist as grossly disproportionate facets of society one encounters the same thing – natural resources under rampant exploitation, inadequate govt.structures, institutions under siege and an army of western NGO stakeholders most of whom are engaged in some form of patronising aid programme hailed as the answer to poverty but which more often than not spawn a sense of crippling entitlement. May the next step in coming to terms with the consequences for white rhino be the lifting of the export ban . Milestone 4. The time has come.